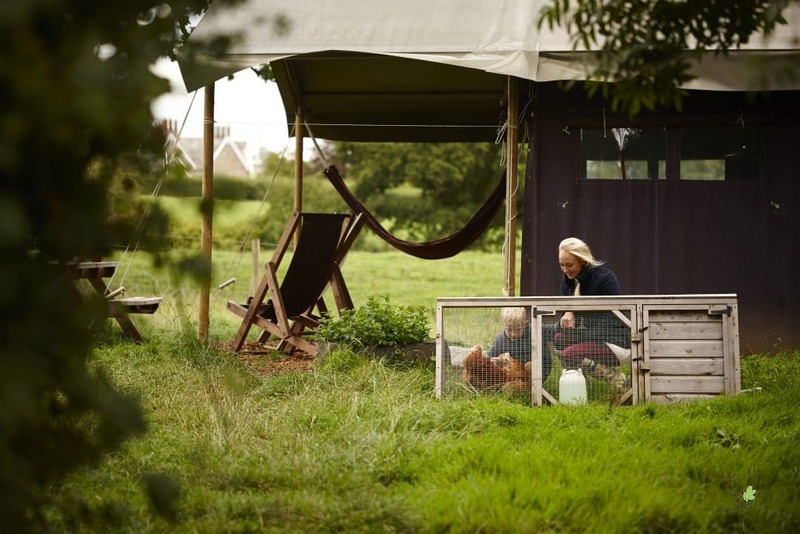 This Feather Down Farm is a ye-olde Dutch farm set in the middle of the beautiful Overijssel region which is famous for its medieval towns, rivers and forests. It is within 25km of 3 national parks. In fact the most beautiful village of The Netherlands, Giethoorn, is just a 15 minute bike ride away. Giethoorn is referred to as the Venice of the North and is filled with canals and little cobbly streets. De Kalverweide is a working dairy farm with 140 cows and also some sheep, ponies and donkeys. Children can watch the cows go and be milked at the voluntary milking machine and can feed the animals as well as brush the ponies and take the donkeys for walks! The friendly farm owners Goos and Femmie love to show families around their farm and children can help Goos with his duties as he tends to the animals. They also organise pizza evenings where you can get to know the hosts and learn more about life on the farm. We’ve heard the freshly baked pizzas are to die for! Food wise there is an “honesty” shop where you note down what you have taken and then pay for it before you leave. They have the basics as well as some delicious local produce and yummy ice cream! There are also supermarkets in nearby Kallenkote (1km away). As well as the main farm animals, there is also a cute “cuddle barn” where children can go and stroke and look after the rabbits and guinea pigs. Your little ones can even hire their own rabbit on this farm and keep it next to your tent in its hutch! Children (and parents!) will love the ground level trampoline and the buggies they can drive around! You can hire bikes and discover this beautiful region together or you may want to simply soak up life on the farm and relax in your luxury glamping tents. You are nearby to a lot of great days out on this Farm! Just 300m down the road is the small and friendly Taman Indonesian Zoo which little ones will love. Just 1km away is the village of Kallenkote. 12km or a 15 minute cycle ride is the beautiful canal filled village of Giethoorn. You are also only 30 minutes from the medieval town of Zwolle which is also home to Dinoland, a dinosaur themed attraction and play park aimed at young children. 45 minutes to an hour away are 2 more theme parks; the Slagharen Wildwest/Mexican themed park 54km away which has rides for small children, and the Hellendoorn Adventure park 69km away which has lots of rides and also a waterpark.